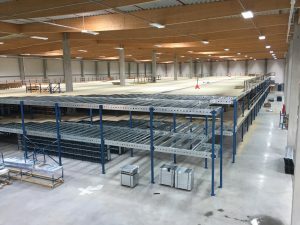 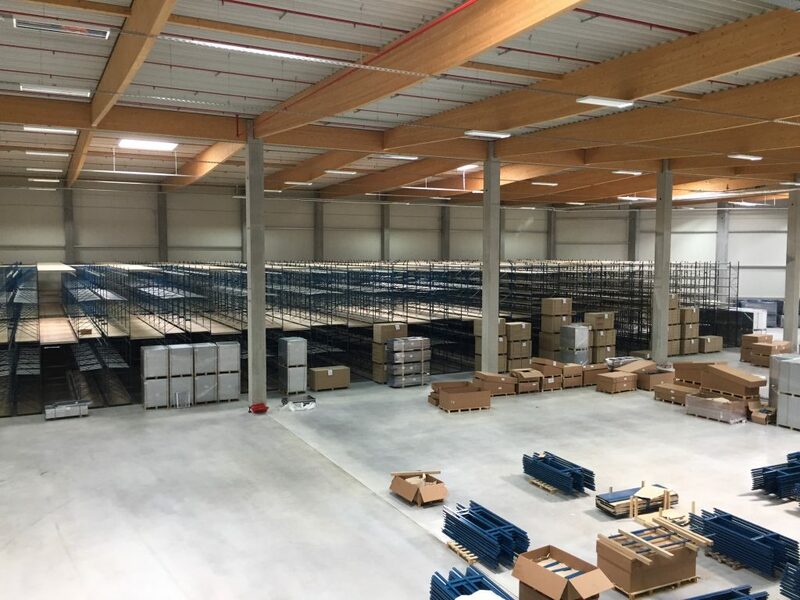 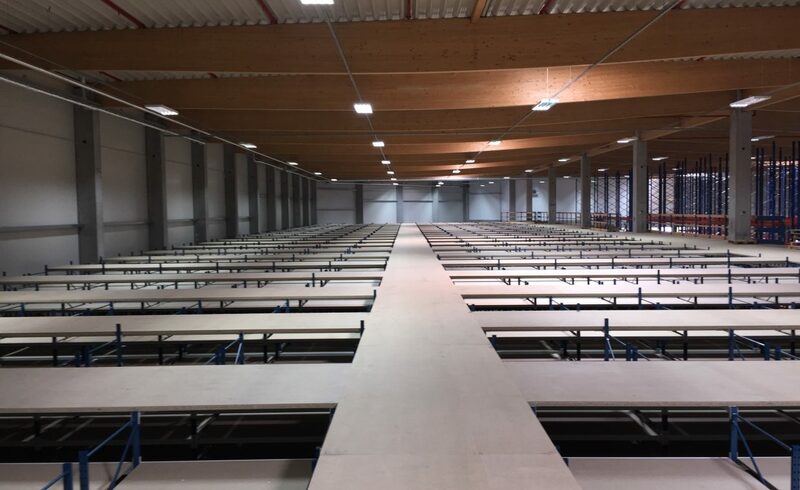 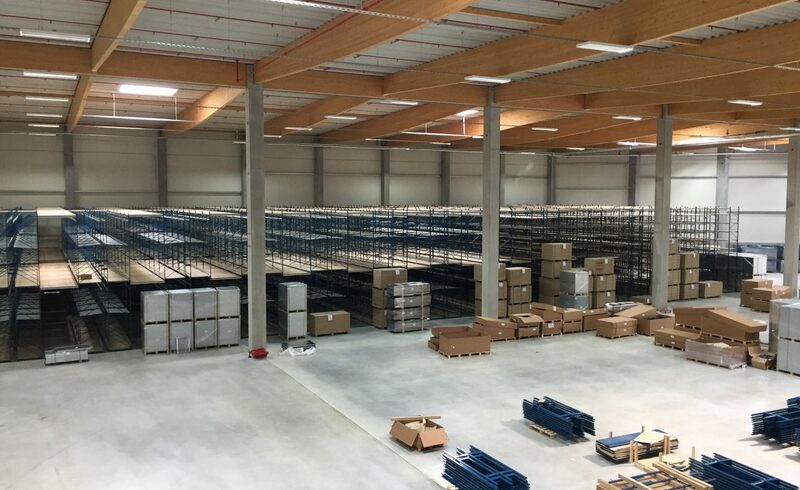 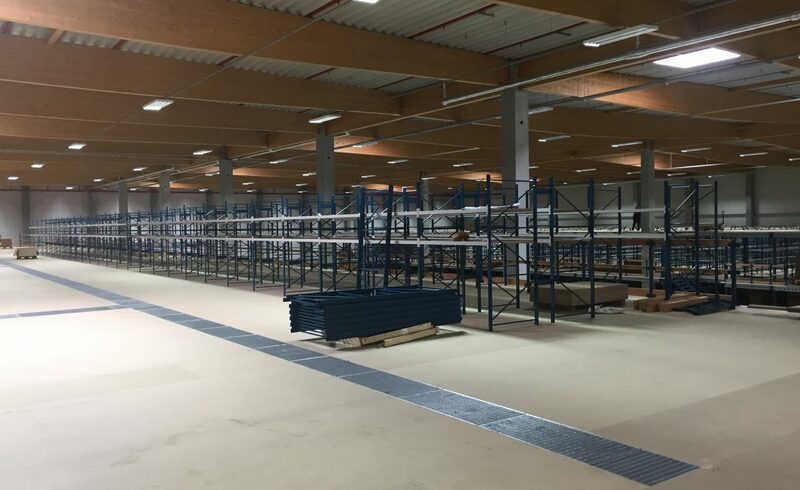 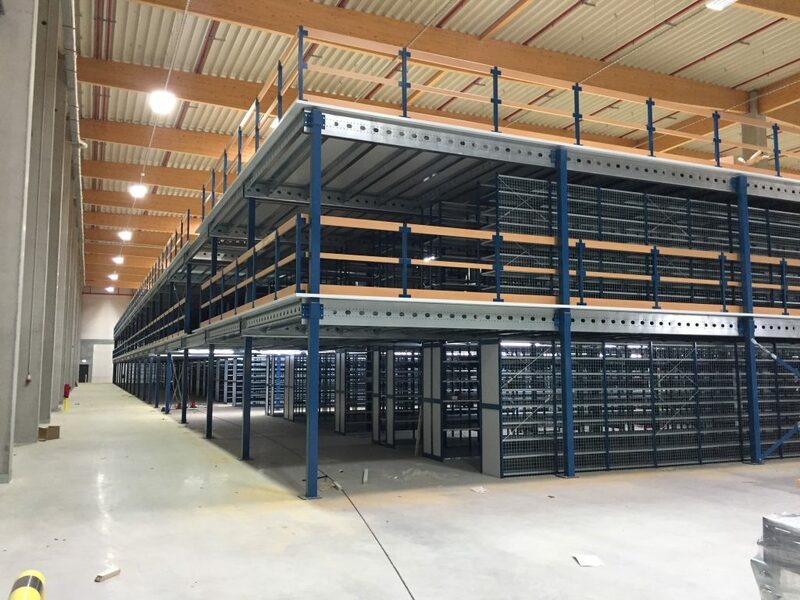 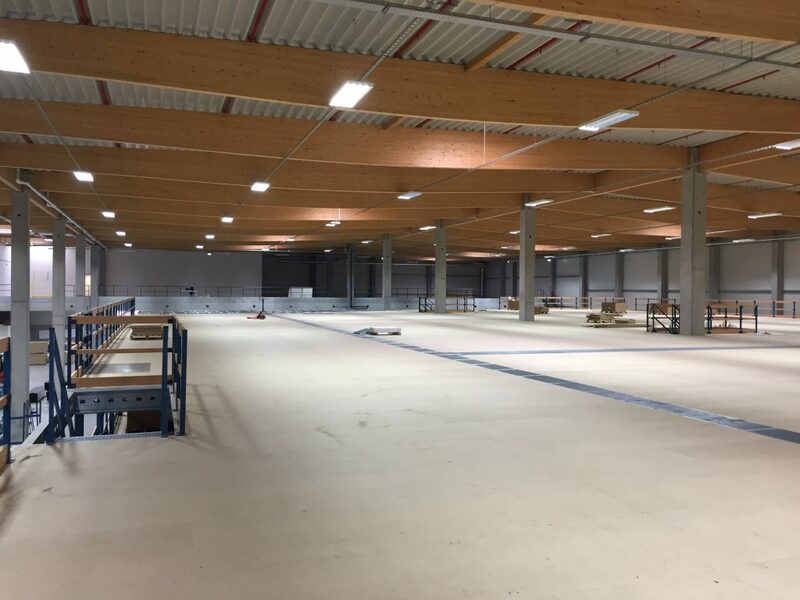 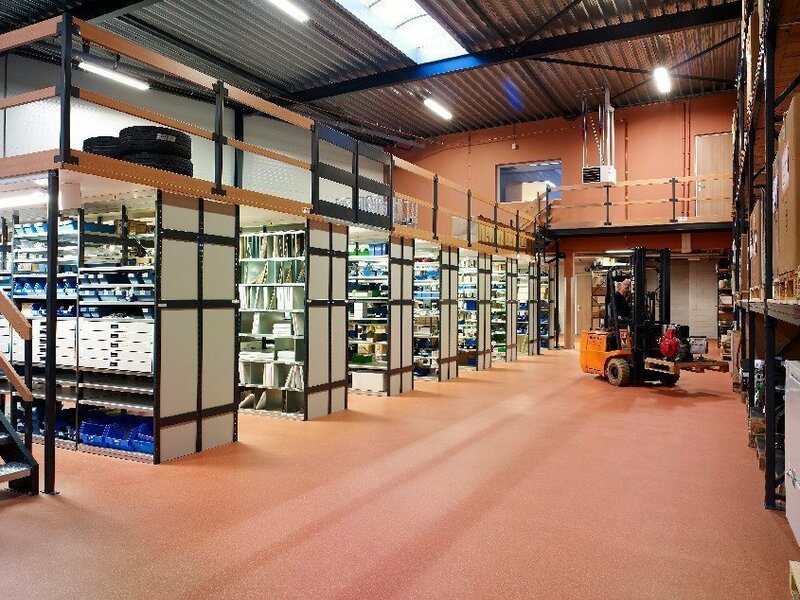 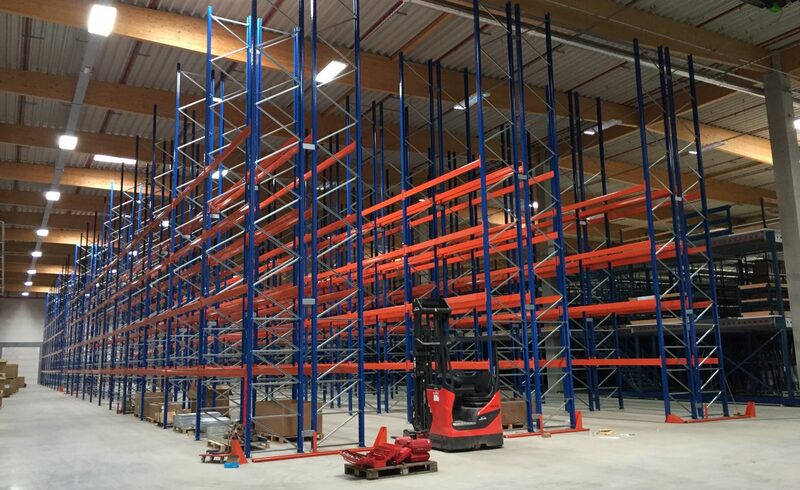 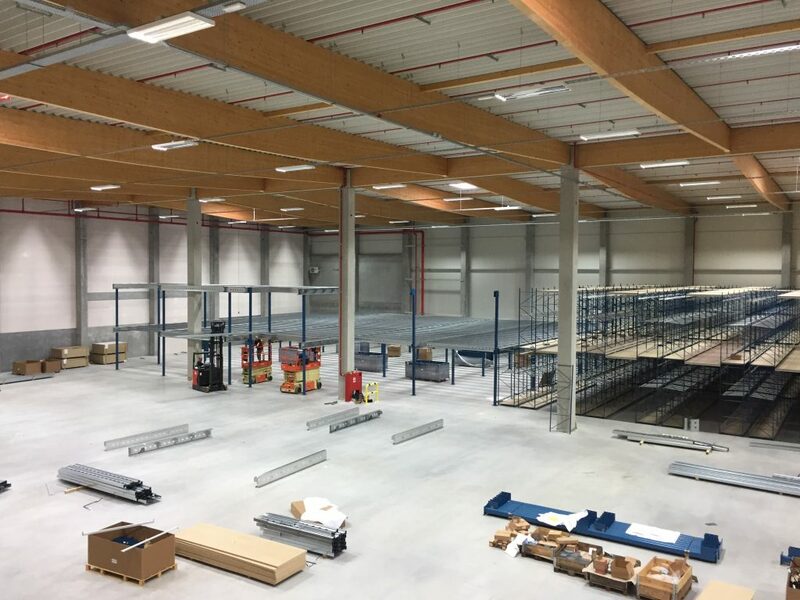 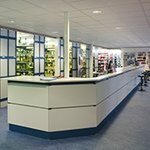 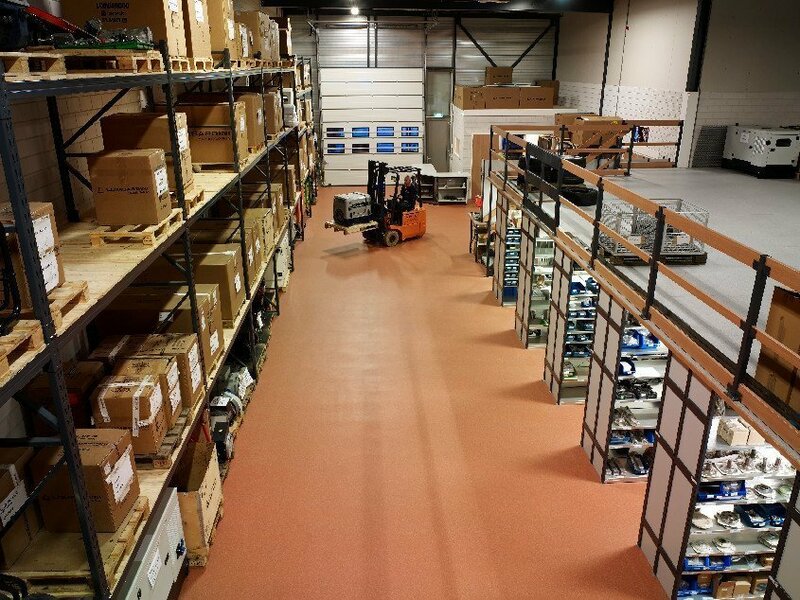 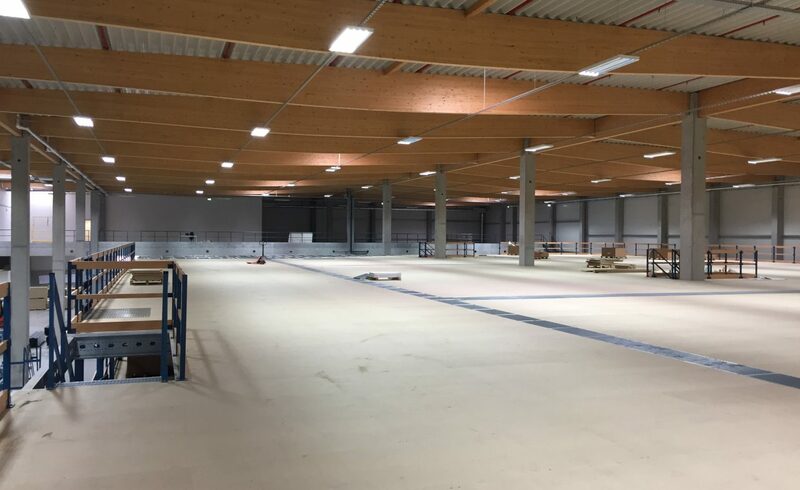 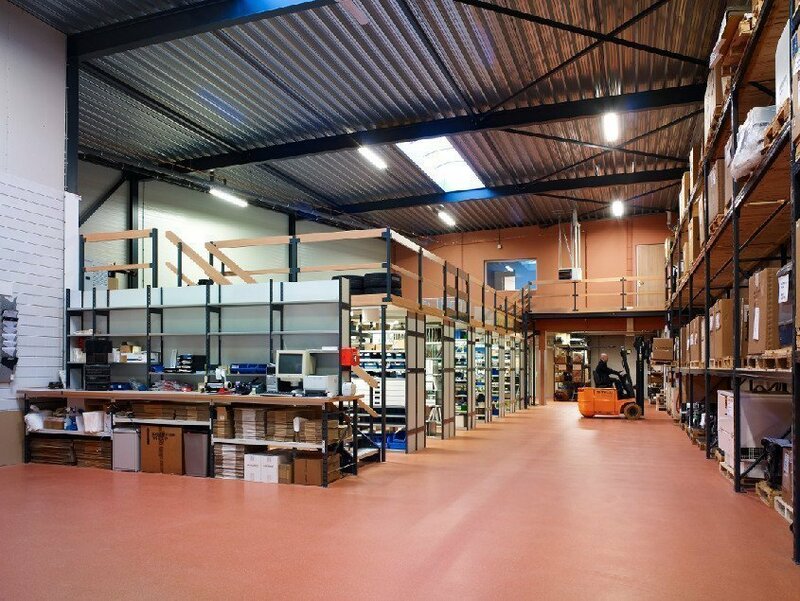 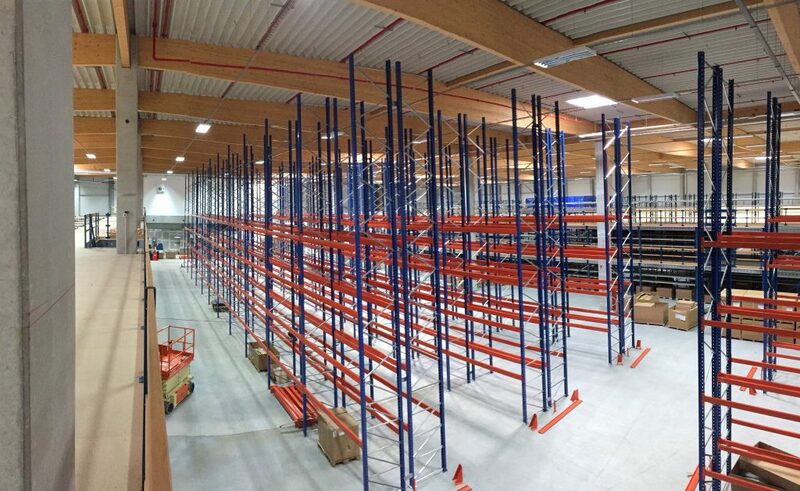 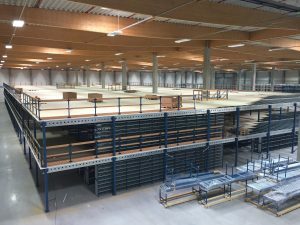 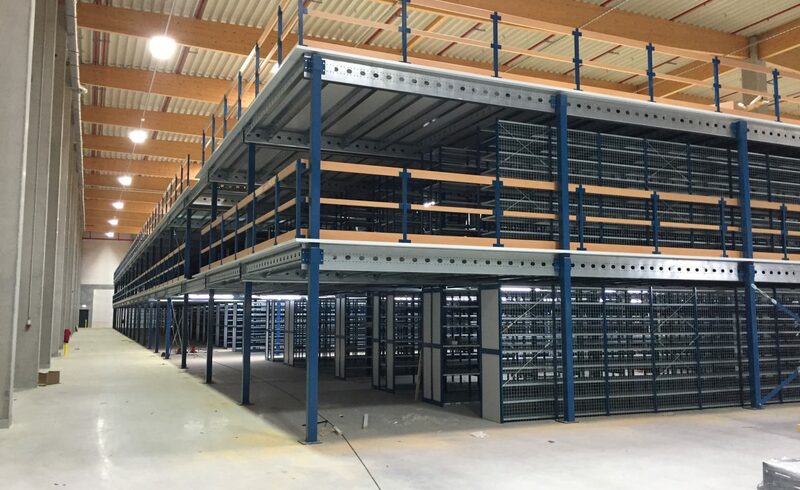 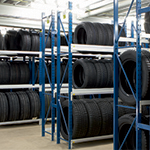 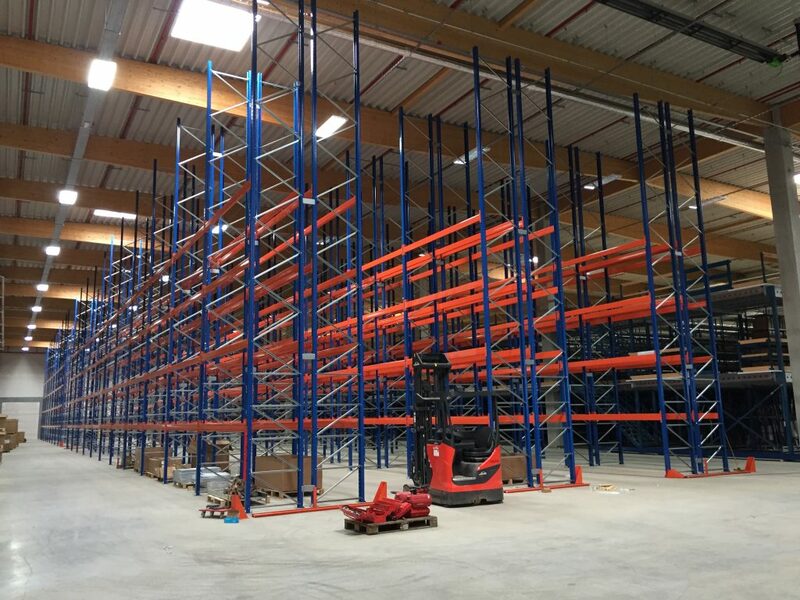 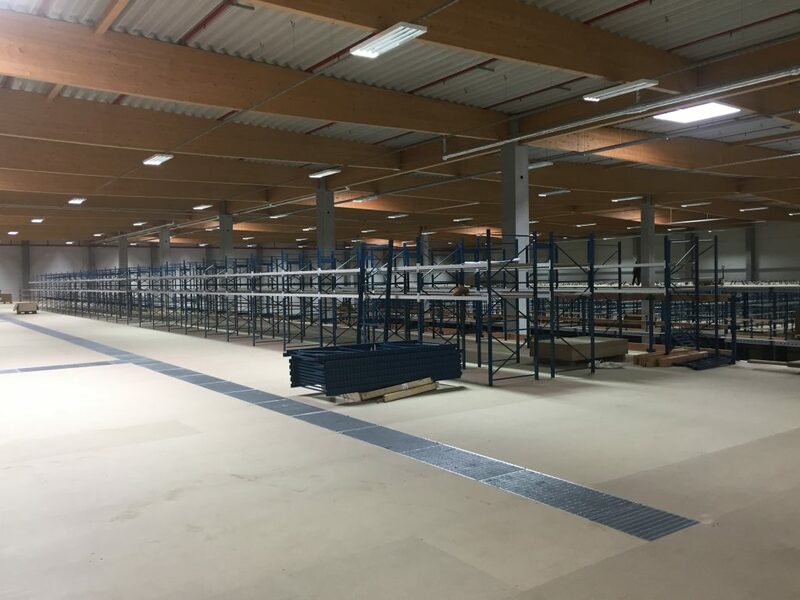 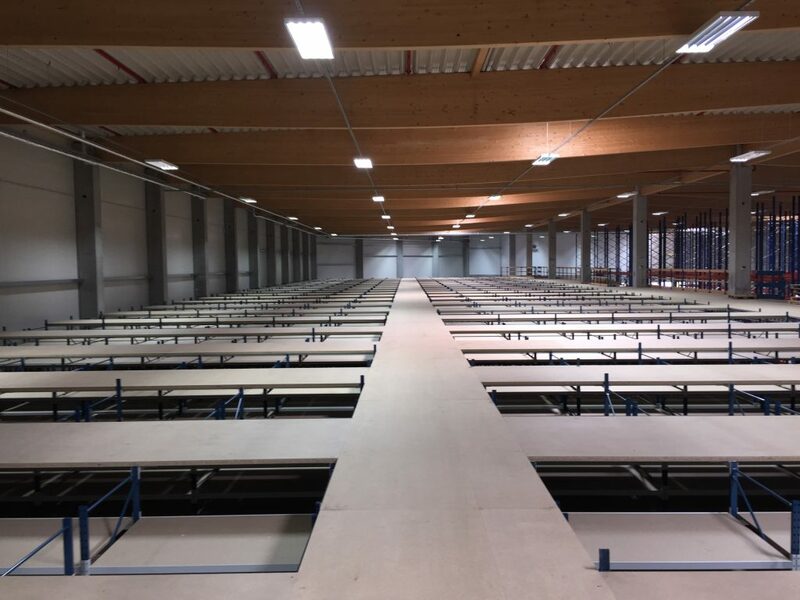 In Papendrecht we have furnished the complete warehouse for a wholesaler. 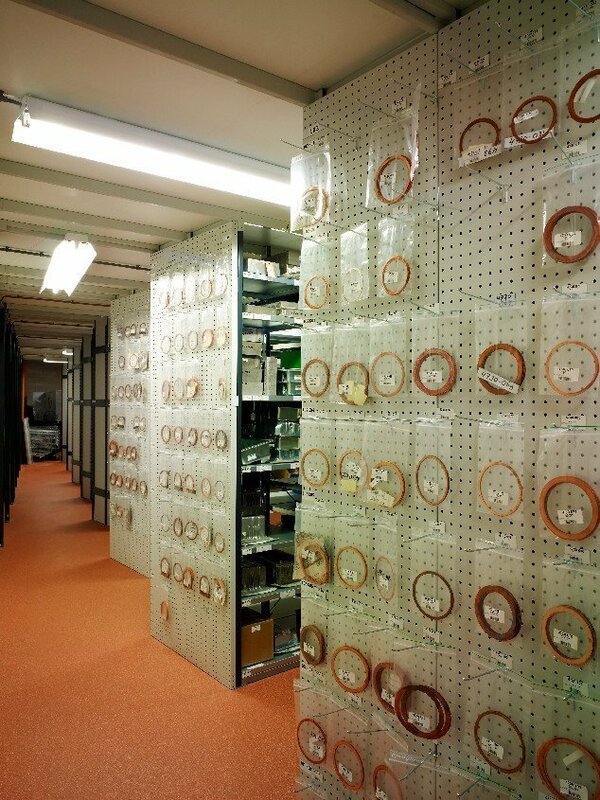 Due to the large variety of products, there were many different storage needs. 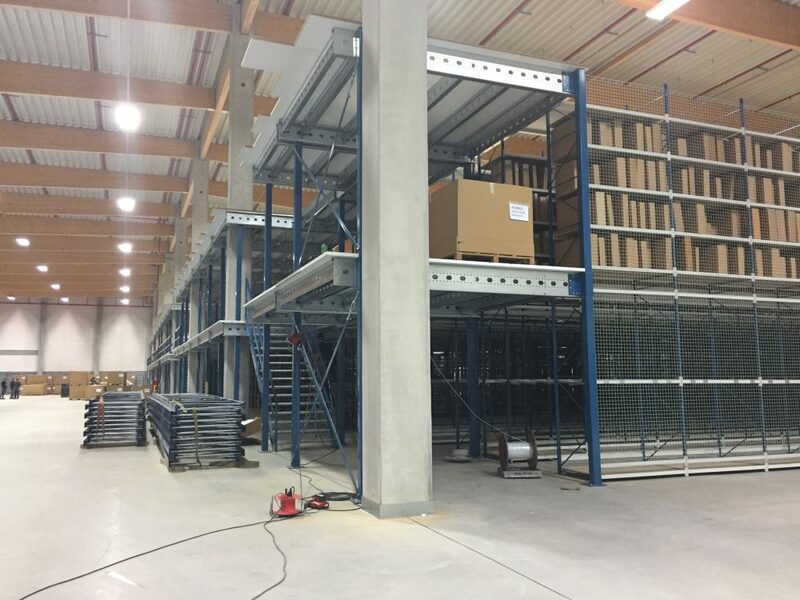 Not only was there a need for storage of small parts but also for incoming goods that needed to be stored on pallets. 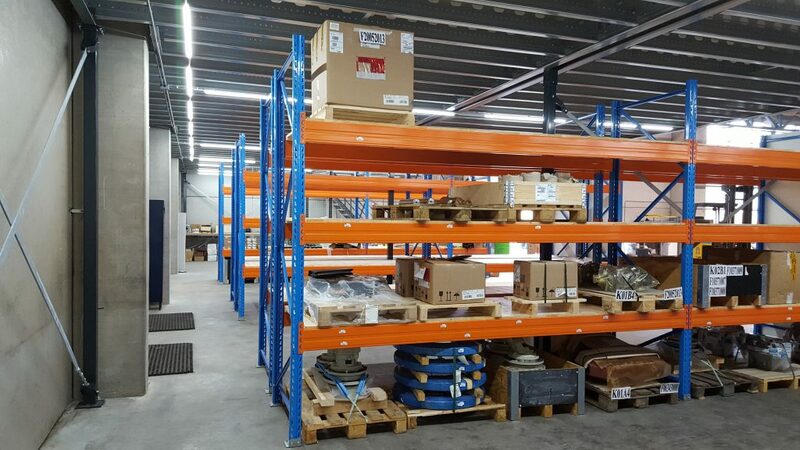 And ofcourse enough space for the forklift to comfortably load and unload the pallets from storage, yet have enough shelfspace to store all necessary small parts. 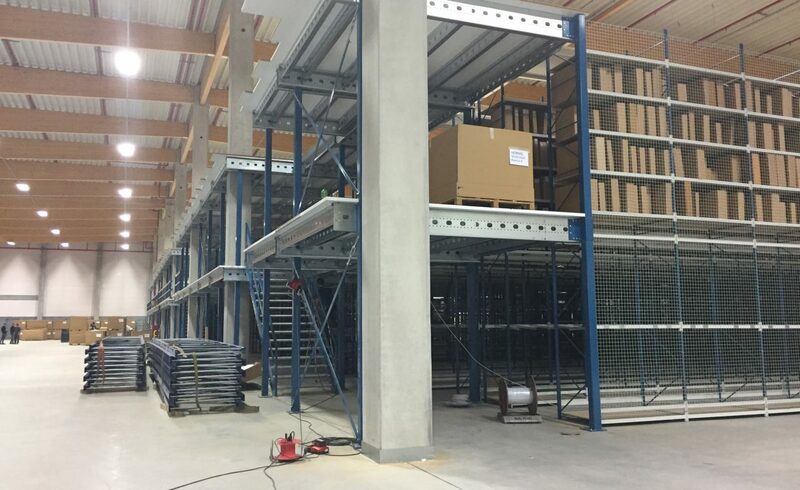 After having spoken to the customer tofully understand their storage needs and wishes, a drawing was made in-house. 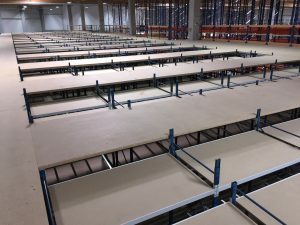 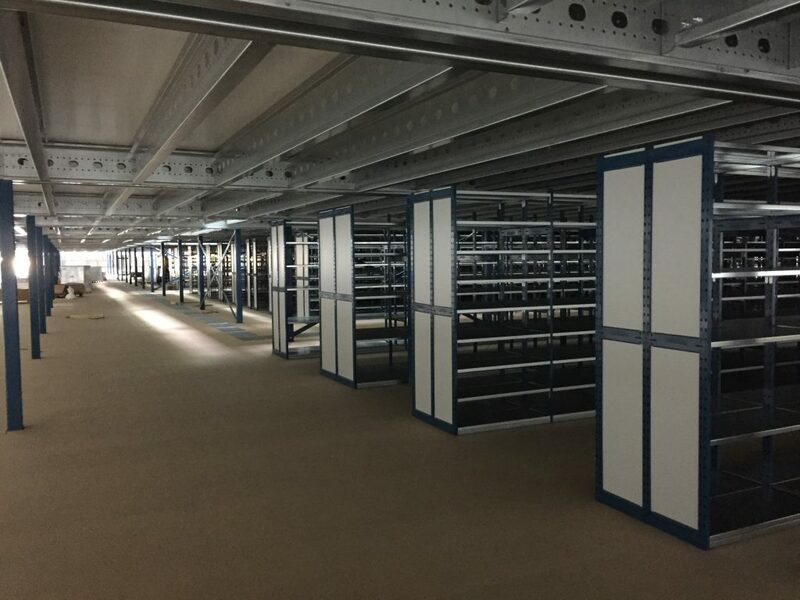 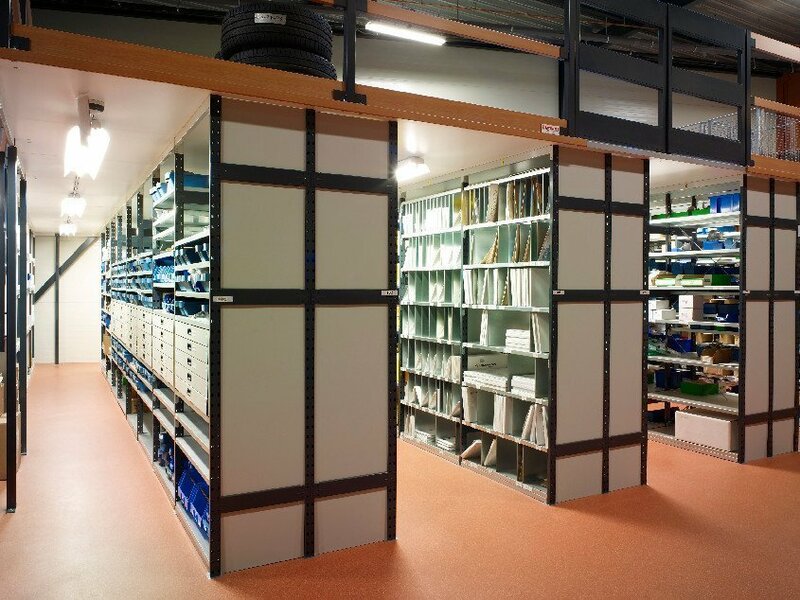 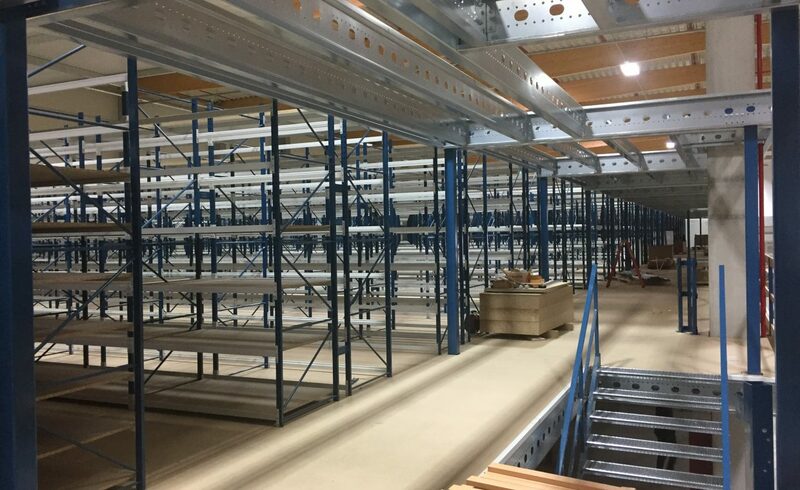 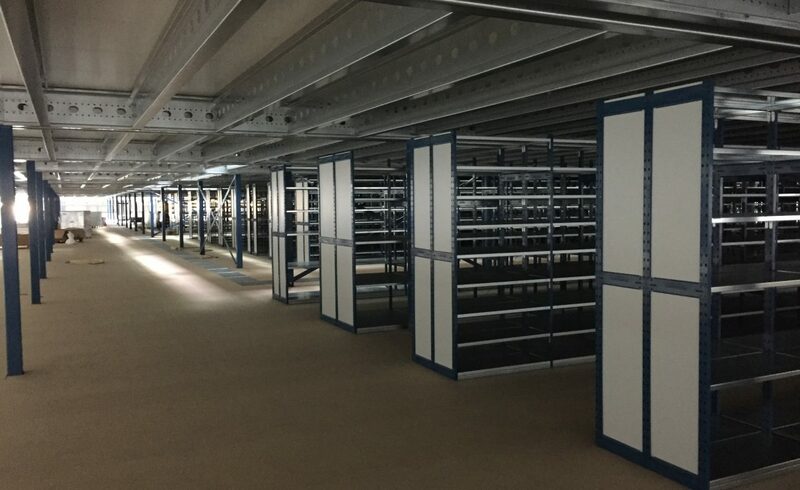 By using mezzanine flooring ontop of the shelving, we were able to surprise the customer with the storage area we could achieve. 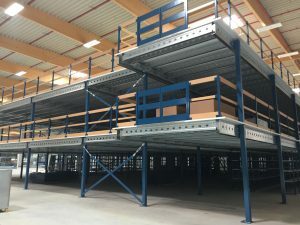 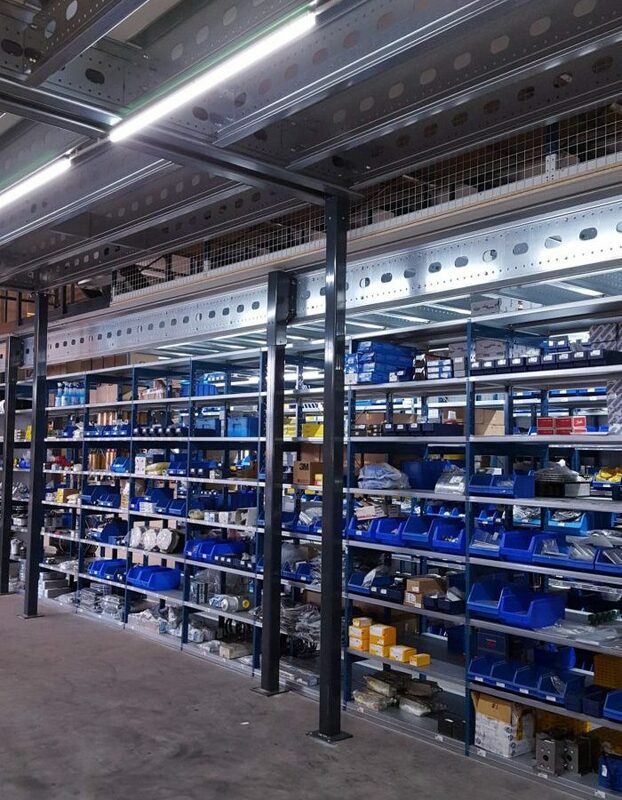 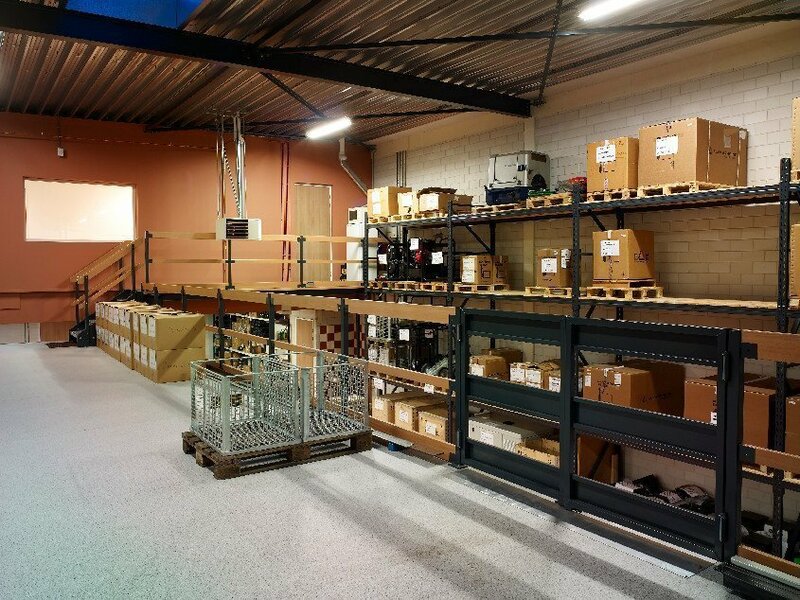 The big plus of the mezzanine floor is that eventhough the shelving takes up plenty of floorspace, Almost all of that surface is regained on top of the shelving. 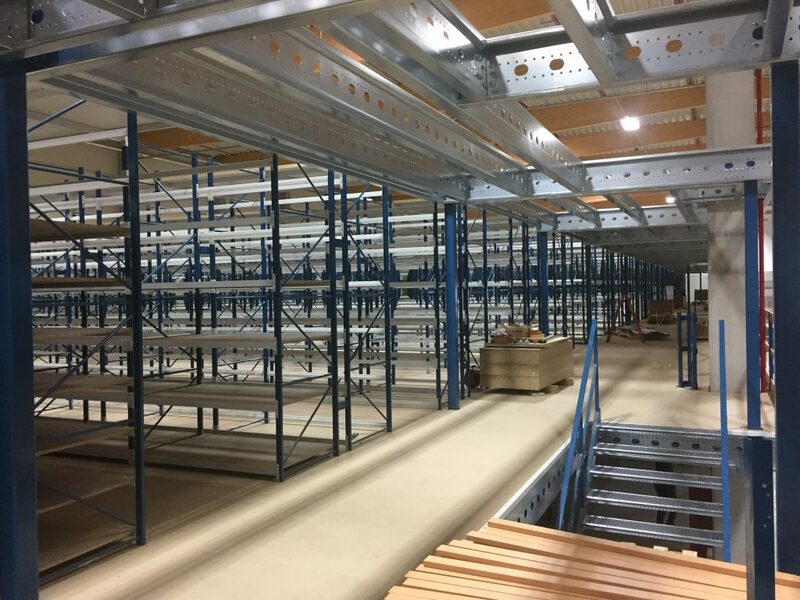 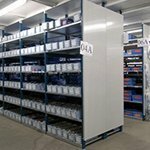 This is an ideal storage space for large items and pallets that need to be unloaded. 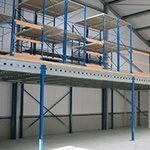 By using a swing gate the products can be lifted onto the floor safely and quickly.